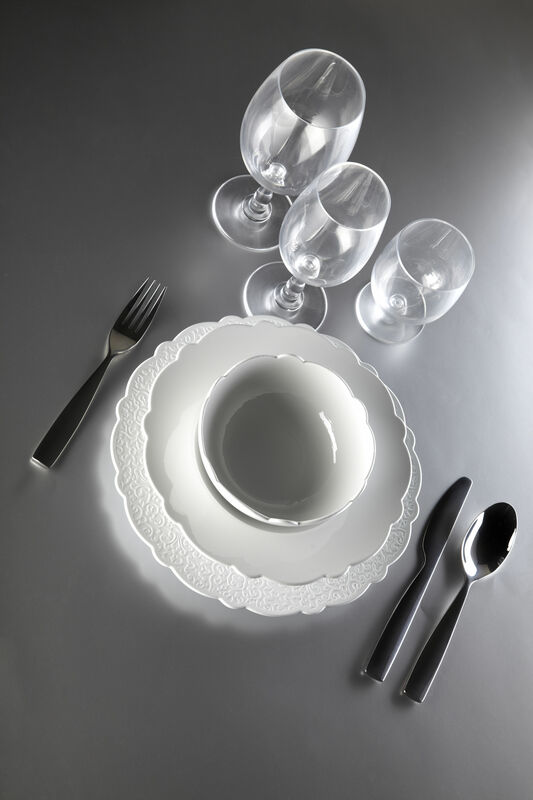 “Dressed” table service by Marcel Wander is his first creation for Alessi – and such a success! Uniting presence and past, blending Baroque and modern style – an inimitable look for your table... The design of this tableware is somewhere between a sophisticated and simple look. The clean and modern lines of the cups go hand in hand with the wavy contours of delicious plates and bowls in old-days-look. The various dishes feature beautiful embossed Baroque patterns, nice to look at and touch, too. This lace ornaments remind of richly decorated dishes of the past. On certain pieces of Dressed collection, this Baroque decoration can be noticed at first glance; others have a rather discrete Baroque decoration on their hidden parts, as for example on the backside of plates and cutlery, on the underside of bowls and cups. Thus, certain pieces of the Dressed collection possess a double personality: simple and modern front side, and Baroque and sophisticated back side! A subtle and delicate work on the ornaments; a true balance between simplicity and sophistication that creates surprising and delicate harmony! Unclassifiable and timeless, Dressed tableware is suitable for setting all types of tables, whether classic, contemporary, chic or sleek. Don’t be confused by the simple front side of white porcelain bowl (Ø 15 cm). Simple and contemporary front side – and sophisticated and Baroque back side! Just turn it around and find the embossed Baroque pattern! 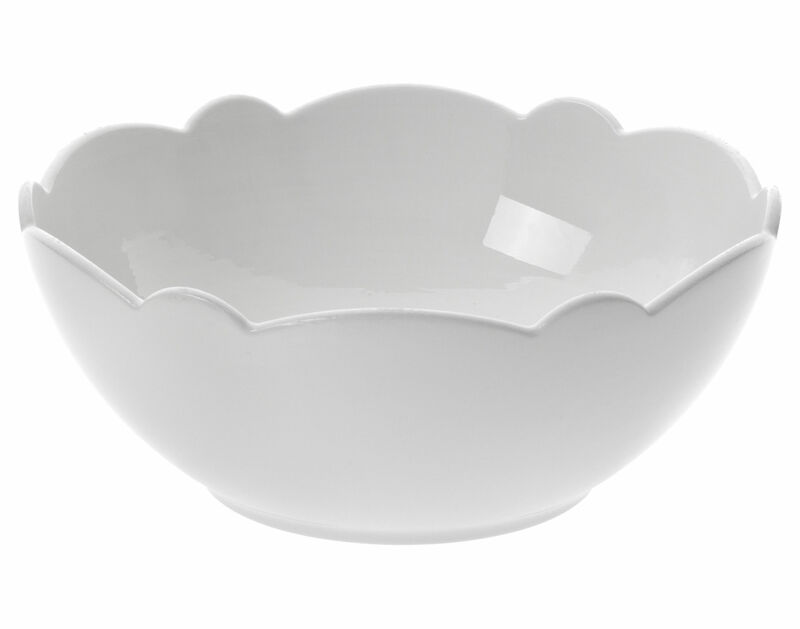 This bowl is perfect for serving desserts, starters, sauces, or condiments. It will look great with all the other items of Dressed collection.